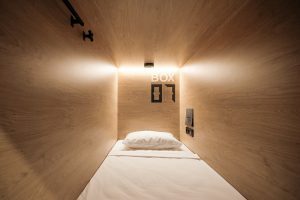 In the heart of Saint-Petersburg is a hotel unlike any other: InBox Capsule Hotel. If its name invokes images of people sleeping in capsules, your imagination wouldn’t be too far off. And for people who prefer to travel light, InBox is the ideal place to rest your head at night. The hotel, which is smack dab in the middle of a busy city, offers respite and peace for weary travelers. Altogether, InBox offers 24 accommodations – or should we say personal beds in boxes. The design of the space encourages socializing by offering communal amenities. Even the bed cubicles are stacked in rows of two with six to a panel. A ladder allows guests to climb to the top “bunk,” while a convenient shade at the foot of the bed affords you some privacy. The concept of a capsule hotel isn’t a new one – they’re quite popular in Japan. But InBox is different in that the space is warm, inviting and cozy. Each box features a wooden interior for comfort. The space outside of the bed boxes is cozy-industrial, with black bricks and concrete, and wooden seating. InBox offers accommodations to suit most travelers. With capsule sizes of 220cm long x 92cm wide x 125cm high, SmartBox rooms are long enough to allow you to lay down comfortably, but tall enough for you to sit up and read. Capsules are arranged in groups of 6 and 16 in mixed dorm areas. Shared WC/showers are located in the hallways of the dorm area. The MonoBox is a two-level compact room with WC. While the room does not offer a shower or window, it does have an LED TV and a large bed. These rooms are not shared, but feature that same interesting design that SmartBox offers. A modern metal ladder allows you to climb up into the bed, which sits atop the WC. The WC features a modern black and white design. The DoubleBox is nearly identical, but features a double bed, window and shower. 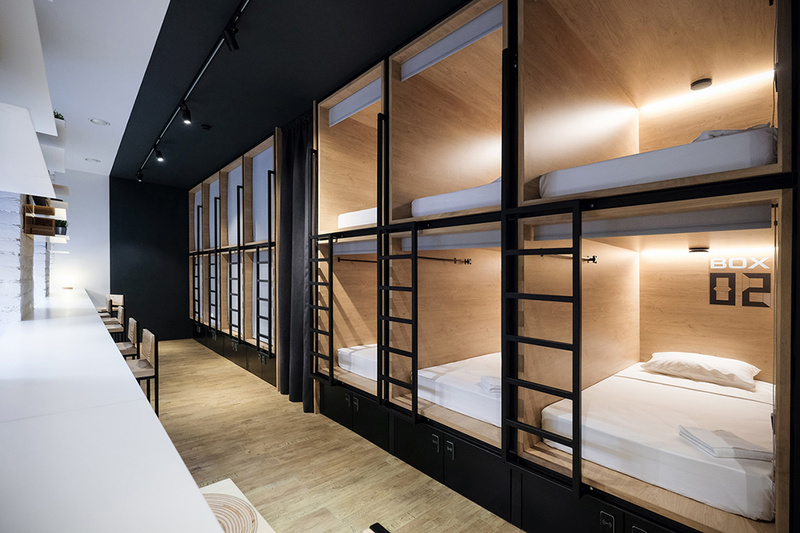 The InBox takes hotel design to a new level by offering a variety of accommodations that suits every traveler’s needs, whether you prefer the community aspect hostels offer or a private, minimalistic room to spend the night. A flameless BBQ? This is something every man has always wanted to enjoy. Revolutionary in design, the GoSun Stove really allows people to cook like never before. This is the future of cooking, and the design exemplifies why this may be one of the most important inventions that we have seen in years. Flameless, this BBQ uses solar to cook food. A meal can be finished in just 20 minutes. Designed for practical use, this model can cook food even when there are overcast skies. An evacuated glass tube is where all of the cooking magic occurs. This glass tube is surrounded by a metal cover the opens up. This may seem like a protective cover, but it also reflects the light to help the food cook faster. The sunlight is transformed into solar heat that is pushed into the vacuum, heatproof borosilicate glass. Light is able to be captured using a broad range of angles, so even if the sun isn’t beating down or there is overcast, frequent readjustment isn’t needed. Food is placed in the tube to be cooked, so it needs to be smaller in size. 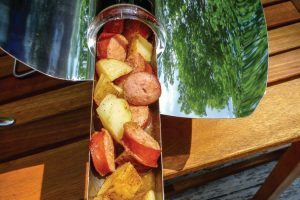 Hot dogs, sausages and a variety of vegetables are a few of the many foods you’ll be able to place inside of the GoSun Stove to be able to cook. What’s really amazing is that Popular Science tested the inside heat of the unit to determine if this stove was able to produce enough heat to really cook meats properly. 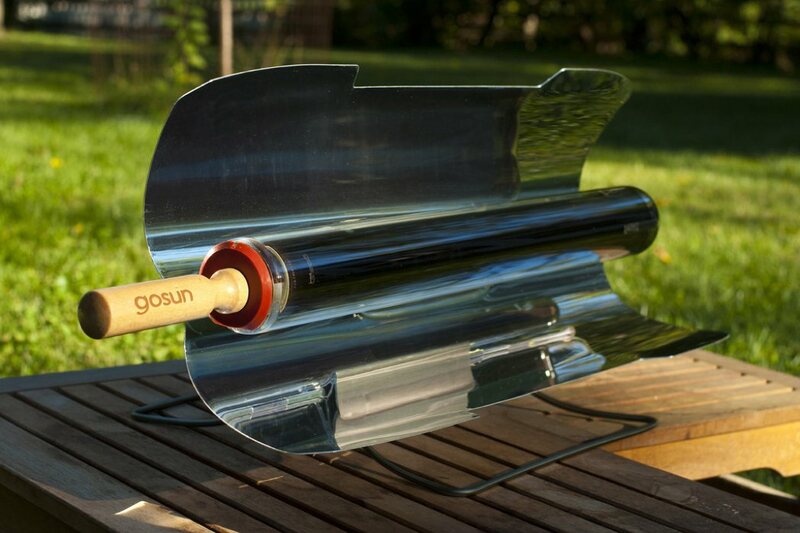 The inside of this solar cooker was able to reach 550 degrees Fahrenheit – far above the needed cooking temperature. Pure genius was put into the design of the GoSun Stove, and it can be used in any country in the world as long as there is sunlight. The Cicolette is unlike anything you’ve ever seen before. It’s a core design element in a room, it acts as a decoration object, but at the heart of it all, it’s a fitness tool that is packed with features to make it truly interesting. Designed in Italy, high-tech materials were included in the design of the Cicolette, with the main composition being steel, fiberglass and carbon fiber. 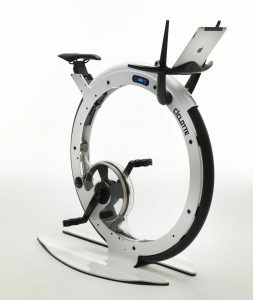 And it’s not just a unique exercise bike, it’s the first bike to use electromagnetic resistance with epicycloid transmission and is strong enough that it can be used as a spinning bike. This is a work of art – even if the industry hasn’t realized it just yet. The epicycloid transmission generates a high-intensity magnetic field so that users can cycle with proper biometrics and ensure a full stride. The “big wheel” has a seat attached, allowing users to sit on the Cicolette to pedal. A brilliant console has the “handles” attached that users can grab to gain stability when cycling. Perfect as a piece of décor, this model can be used indoors or outdoors, and it’s components are resistant to salt exposure, allowing it to be placed on ships or yachts to provide a sleek, modern twist on the stationary bike. Italian inspired, the two handles look like the horns of a bull and provide a direct look to the infotainment screen. The screen can integrate with the iPhone or iPad, and allows users to watch a movie or listen to music while cycling. A dedicated app adds allure and fun to the Cicolette through the simulation of a racing path, road and trail. 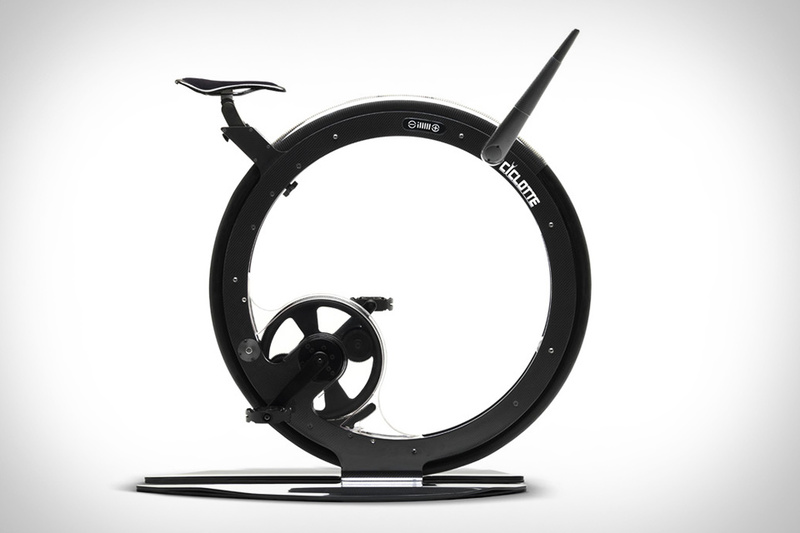 Designed with the enthusiast in mind, the masterminds behind the Cicolette spared no detail to allow for the world’s most unique and revolutionary exercise bike. Users will be able to experience the outside feel of cycling in the comfort of their homes. Quantum levitation is not yet a reality for the race car industry. 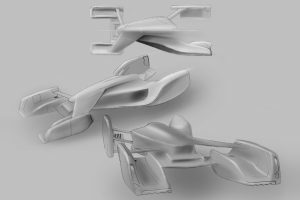 The design concept would change the world of race cars in a way that computer revolutionized the way businesses and people gather and store data. The Levitating Race Car is in development, and the design has the chance to be a once-in-a-lifetime type of achievement. Quantum levitation would remove all rolling resistance that causes drag on the wheels and allow for unseen agility on the track. Weather issues would be a thing of the past, and drivers would need to learn a whole new race car as we know it. The thought of the levitating race car isn’t so far-fetched. 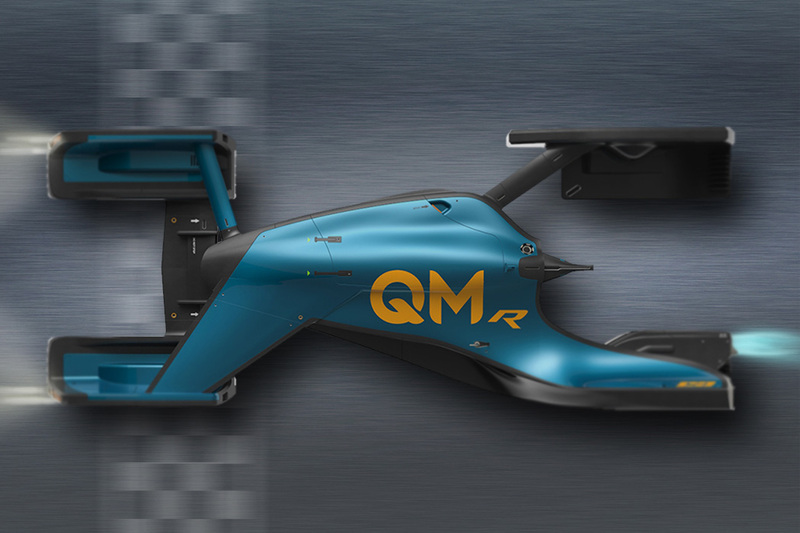 Quantum Motor Racing (QMR) has designed a concept of a race car that uses quantum levitation, and it’s stunning. The race car has an odd shaped body with four distinct “wheels,” or appendages really, which power the unit. The middle is where the driver would take helm of the car. Small scale construction provides a balance of superconductors and magnets that allows for levitation. Precision temperature adjustments are needed, too, to provide the levitation needed to propel the racecar. Aerodynamic in design, the levitating car could cut through the air effortlessly without hindrance from ground friction. Propulsion of the race car has not been determined, but it’s easy to imagine a stream of fire propelling the car from the back of the unit to allow it to cut through the air in the same way a jet does. Magnets inside of the vehicle keep it on the track, but the strict movement would pose concern when trying to pass an opponent on the final corner of a track. Superconductors would, hypothetically, use quantum energy to propel the unit forward. The design is unique, and NASCAR fans would have a difficult time getting accustomed to the non-traditional look, but the design does point to a possible quantum levitation race car being viable. The geek in me is screaming inside with joy at the WonderCube, which provides immense power in a tiny 1” cube. Designed to be just 1” in volume, this cube aims to change the way you view your electronic world. Arranged perfectly in a small, compact cube is a phone charger cable, card reader, emergency power bank, mobile stand, syncing capability, and I almost forgot, an LED torch. 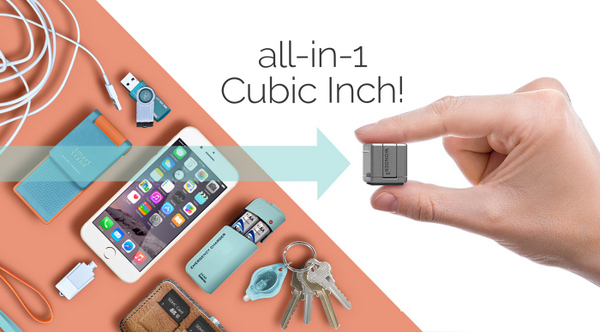 All of these accessories fit into one, small cube that can be attached to your keychain. The design brings me back to a time when I used to play with Transformers, but now the power is ever so real. Forget all of the accessories you have at home for your electronics – they’re no longer needed. The WonderCube has it all nice and tidy in a small cube that provides limitless potential. Prop up your phone with micro suction cups. Add 16GB, 32GB or 64GB to your phone with the microSD card, supply power by hooking a 9-volt battery to the WonderCube, or shed light on the world with the built-in LED light. Space is utilized in an interesting way with the small yet powerful WonderCube. Transform the cube with just two fingers to reveal additional functionality. Small and easily overlooked, this cube may not get in the way like cords and additional power banks do, but it will become a major void when it’s missing. The size and design are what make the major difference. Accessories bog you down and cause you to have to bring unneeded items with you just “in case.” And when you leave these accessories behind, this is the time when you’ll need them the most. 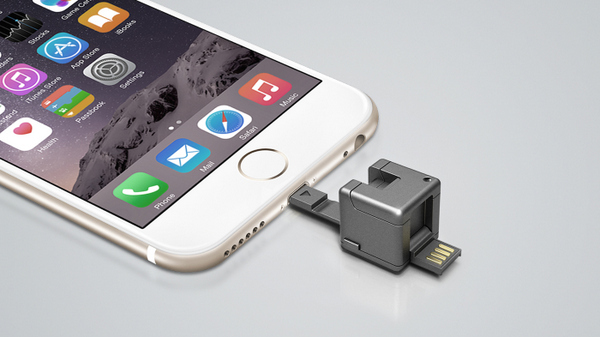 The WonderCube the tiny smartphone accessory that does it all – and more. Lightweight, easy to carry and tiny enough to fit in the palm of your hand, the WonderCube has the potential to change the way we view smartphone accessories.